Sega of America shocked the video game world when, four months ahead of schedule, they announced at the E3 Expo that their console, the Saturn, would be available at retail that very day. This gave Sega a significant buffer between the release of their system and newcomer Sony’s highly anticipated PlayStation. But since developers were also unaware of this abrupt change of plans, there were few games available at launch, and with the PlayStation arriving in just a few short months with plenty of software and for $100 less, Sega’s sequel to the massively successful Genesis was doomed from the beginning. Down but not out, Sega set out to design a revolutionary new system that would resurrect their once sterling reputation as one of the industry’s foremost hardware manufacturers. They were now well aware of the blunders that sunk the Saturn and that Sony was a legitimate threat. Nintendo had finally been dethroned as the world’s preeminent console manufacturer, but was still going strong. 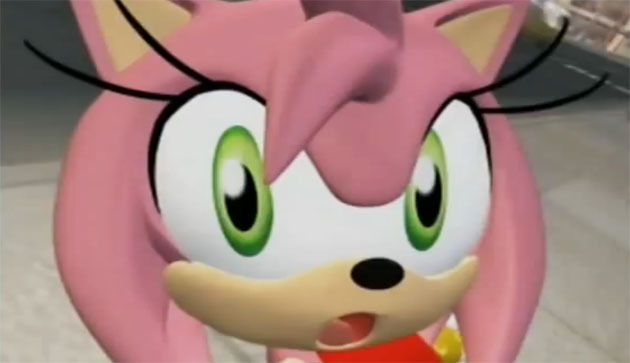 Along with rumblings of software giant Microsoft looking to break in to the business, Sega needed something huge. They needed to innovate where others could only speculate, and needed to offer it in a package that would not be financially cumbersome to consumers. That’s the fine line console manufacturer’s tow. It’s affordability vs. innovation. Careful balance of the two must be maintained when designing new gaming hardware. Miraculously, Sega succeeded in both regards with their newest system, the Dreamcast. Even with ten plus years of hindsight, it’s difficult identify where exactly the Dreamcast failed, aside from its poor timing. Sega’s iconic “It’s Thinking” marketing campaign is easily one of the best ever conceived. It was ominous, esoteric, and left readers craving more about the fabled hardware. 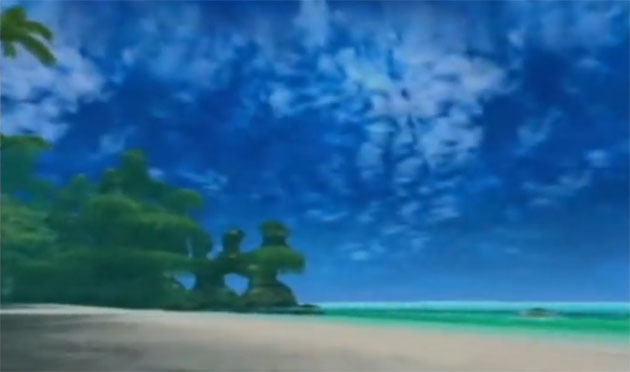 Slightly less subtle but equally as awesome were the television spots, in particular one for Sonic Adventure that features Seattle Sonics point guard Gary Payton rapping along to the hedgehog’s sick beats. The hype leading up to the system’s inconspicuously numerological release date of September 9, 1999 was impalpable. The Dreamcast wasn’t unnecessarily hurried to retailers the way its predecessor was, and with 17 titles available at launch, there was plenty of reasons for gamers to jump aboard the Sega bandwagon yet again. Over 225,000 units were sold in the first 24 hours of the system’s American launch, equating to just under $100 million dollars in combined hardware and software sales. Those were numbers that, at the time, were record-shattering. With the failed Saturn well in the rearview mirror, it looked as if Sega had was well on their way back to the apex of the gaming universe. How could any gamer worth their salt not be excited about the Dreamcast? For starters, each system came included with its own proprietary modem. Console gamers had been on the outside looking in when it came to online gaming, but that was no longer going to be the case. An online installment of Sega’s dormant Phantasy Star series was in the works as well as a port of Quake III Arena, which was incredibly popular on the PC. 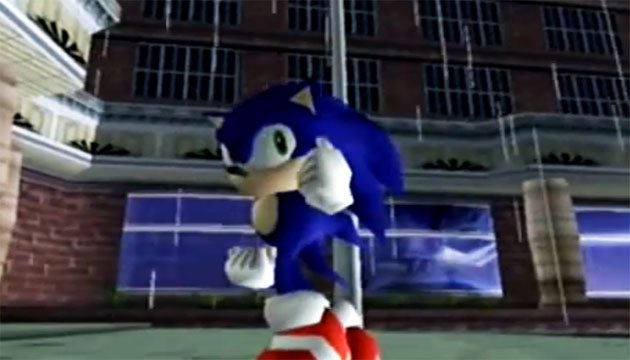 While Electronic Arts had publicly stated that they would not be supporting the Dreamcast, Sega tabbed second-party developer Visual Concepts to supply the system with its sports titles that promised to include fully functional online versus play. Risky ambition was the philosophy behind everything that went into the Dreamcast. Exploring online play was by no means an inexpensive venture, but one Sega was willing to gamble with in order to separate themselves from the competition. The laundry list of innovation only starts there. Aside from the obvious advances made in the graphics and audio departments, there were plenty of other groundbreaking ideas that set the Dreamcast apart from everything else available on the market. The introduction of analog triggers on each shoulder of the controller was a much-needed step forward for such devices. As games became more intricate and required more precision on the part of the player, implementing a mechanism that offered subtle manipulation of on-screen action was integral to maximizing players’ enjoyment. The Dreamcast’s controller also featured highly unique integration of the system’s memory card that plugged right into the top of the controller. The “virtual memory unit” that stored the system’s save data featured a tiny monochromatic screen that had allowed for some pretty cool functionality both during and outside of gameplay. In the NFL 2K series, for example, it allowed you to select your plays right on your controller, allowing players to discretely carry out their strategy with out exposing it to their opponent’s wandering eyes. Some games also offered bite-sized minigames that could be played on the go that would award small in-game bonuses upon returning it to the Dreamcast. 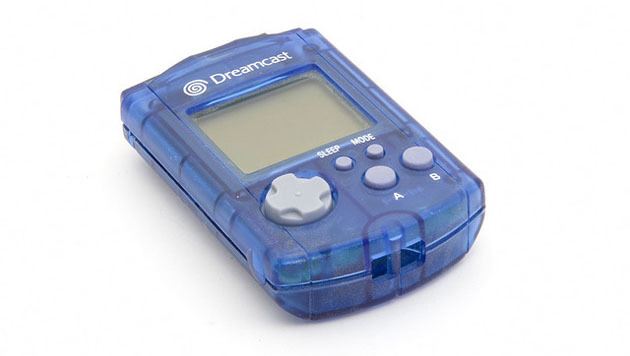 While this function was hardly useful (the battery life on the VMU was putrid), it was a cool, original idea hat hasn’t really been replicated since. Believe it or not, the Sega Dreamcast was also the first system to utilize its Internet connectivity to offer additional content to players after their purchase of a game. While the mere utterance of “downloadable content” is enough to ignite heated debate among today’s gamers, Sega’s application of the practice was far less controversial. Given the relatively small amount of memory available on the system, options were pretty limited, but it did allow for a few added benefits that helped extend the replay value of certain games. 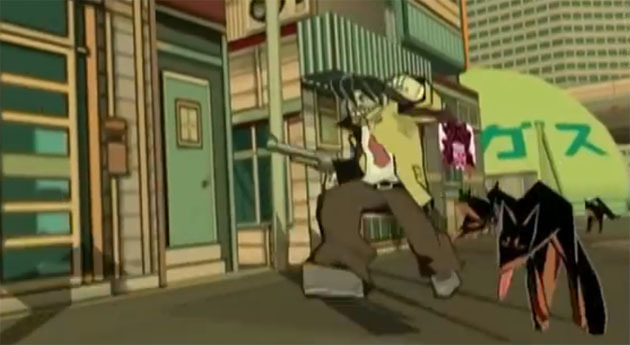 Being able to share your custom graffiti online in Jet Grind Radio may not seem as radical of an idea as it was twelve years ago, but it helped establish (for better or for worse) an important medium by which developers can now distribute content. So what exactly went wrong? Sega seemed to do everything right this time around. They had a quality piece of hardware that could do things that no other could and featured plenty of great software titles for gamers to sink countless hours into. Like I said before, it was all about timing. At the time of its launch, the prior generation of consoles was barely four years old. With plenty of prodigious titles still being released for the Sony PlayStation and Nintendo 64, it was hard to justify plunking down the cash on a new system when the ones customers already owned were still satisfying their gaming appetites. I also think the reputation the company earned themselves due to the implosion of the Saturn did hurt them in the end. The most prominent reason for the Dreamcast’s demise, however, was the PlayStation 2. As soon as details began leaking about Sony’s newest console, gamers were more than content with sticking with their older consoles until the PS2 arrived. It’s no coincidence that the Dreamcast was officially discontinued a year later. Despite its tragically short lifespan, the Dreamcast continues to live on through its dedicated cult following and steady stream of homebrew releases. Look no further than Gunlord, an awesome retro-style run and gun platformer by the NG-Dev team. The “ahead of its time” angle has been beaten to death in regards to the Dreamcast, but that doesn’t change the fact that it was completely groundbreaking. It was a machine that, in a different era, would have succeeded wildly. Fortunately for us, there are still plenty of great consoles being released, but one can’t help but lament the Sega’s decision to exit the hardware manufacturing business. Those who have not had been able to experience the system for themselves should consider doing so. Used systems can be scooped up for cheap at just about vintage game retailer, and there are still copies of its best games available in plenty. What was once a prophetic look into gaming’s future is now but a glance at one system’s influential past. Still, the Sega Dreamcast left an incredible legacy of innovation that Sega can be proud of, and one that all others should aspire to follow.